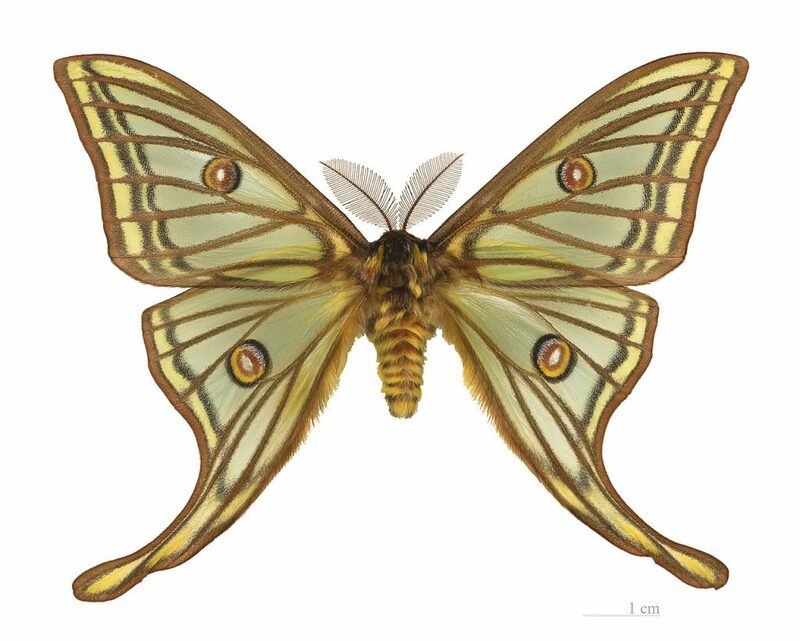 Join entomologists from Virginia Tech and celebrate National Moth Week! Come out to the campus of VPI and discover insect biodiversity and nighttime nature. We’ll be across the street from Price Hall, near Duck Pond at 8:30PM this Thursday, July 24. We’ll have a mercury-vapor lamp, black light and insect nets. 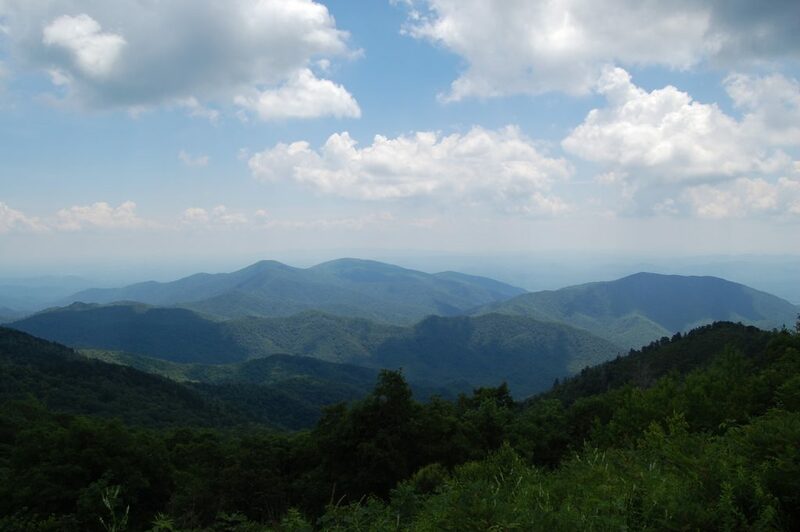 Elizabeth, Jackson and I just returned from a three-day collecting expedition to the Blue Ridge Mountains of Virginia and North Carolina. 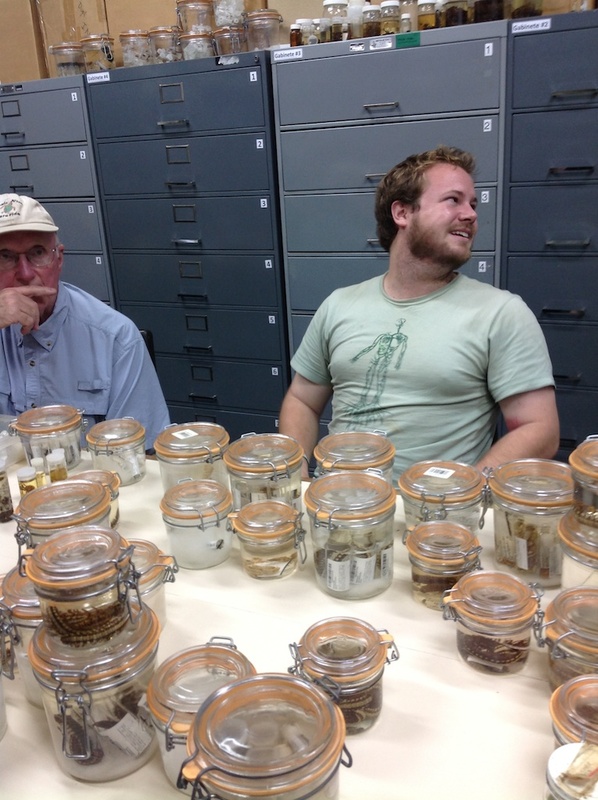 It was an exhilarating three days and two nights, with little sleep and lots of beetles and millipedes. One of the best discoveries of the trip were bioluminescent fly larvae of the species Orfelia fultoni (Diptera, Keroplatidae) from the mountains of North Carolina. These nocturnal fly larvae are carnivorous and spin webs to entangle their prey, which they attract with their glowing blue light. Snail-eating ground beetle, genus Scaphinotus (Coleoptera, Carabidae). It’s pointed head is adapted for poking into the apertures of snails to feed on the soft body parts. Helops sulcipennis (Coleoptera, Tenebrionidae). 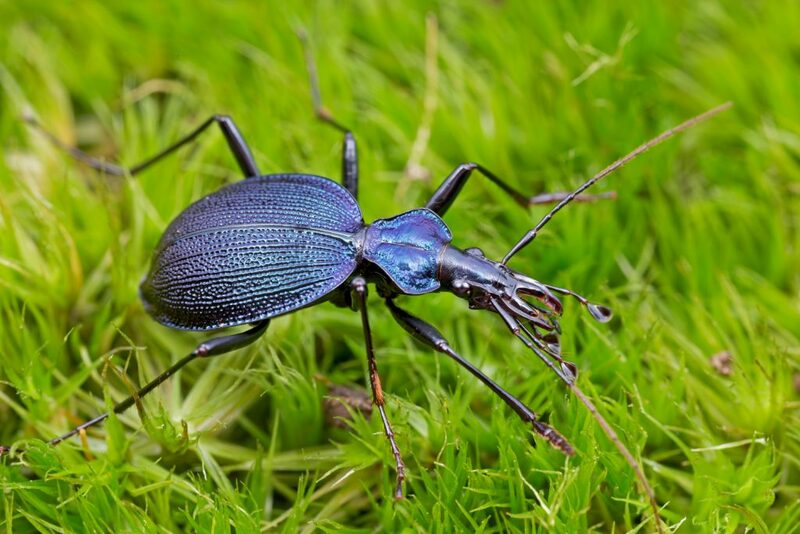 This flightless beetle occurs in the higher reaches of the Blue Ridge Mountains in dry habitats referred to as “Appalachian Deserts”. Meracantha contracta (Coleoptera, Tenebrionidae), found exclusively on dead tree snags. 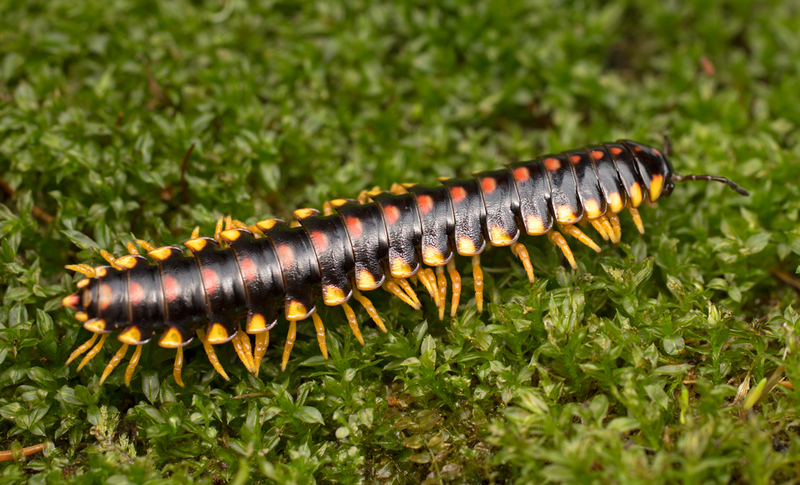 The Appalachian Mountains hold a great diversity of colorful millipedes, including this species that we found during a recent collecting trip to Burkes Garden, Virginia. This is one of two color morphs that we found in this spot (special thanks to Tim McCoy for spying this one). The other morph has yellow stripes and legs instead of the red spots and orange legs shown in this individual. The red & black morph likely mimics Rudiloria kleinpeteri and the yellow morph, Apheloria virginiensis (both found in the area). Many of these instances of divergent coloration occur between individuals that are very closely related (based on uniform DNA barcoding sequences). The genetic mechanism controlling this in millipedes is unknown. However, the genetics of variable color mimicry in nymphalid butterflies has been investigated in several fascinating articles (Joron et al. Nature, 2011; Kunte et al. Nature, 2013). This millipede is Narceus americanus (Palisot de Beauvois, 1817) that I found curled up in the trunk of a live tree. 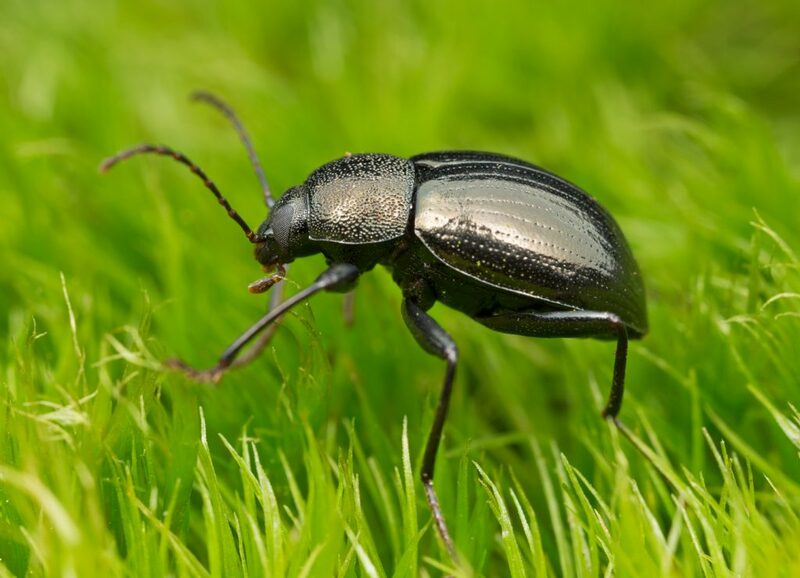 At night, N. americanus is known to climb trees and graze on algae and fungus adhering to the surface of the bark. Their contribution to decomposition and nutrient cycling is quite spectacular. 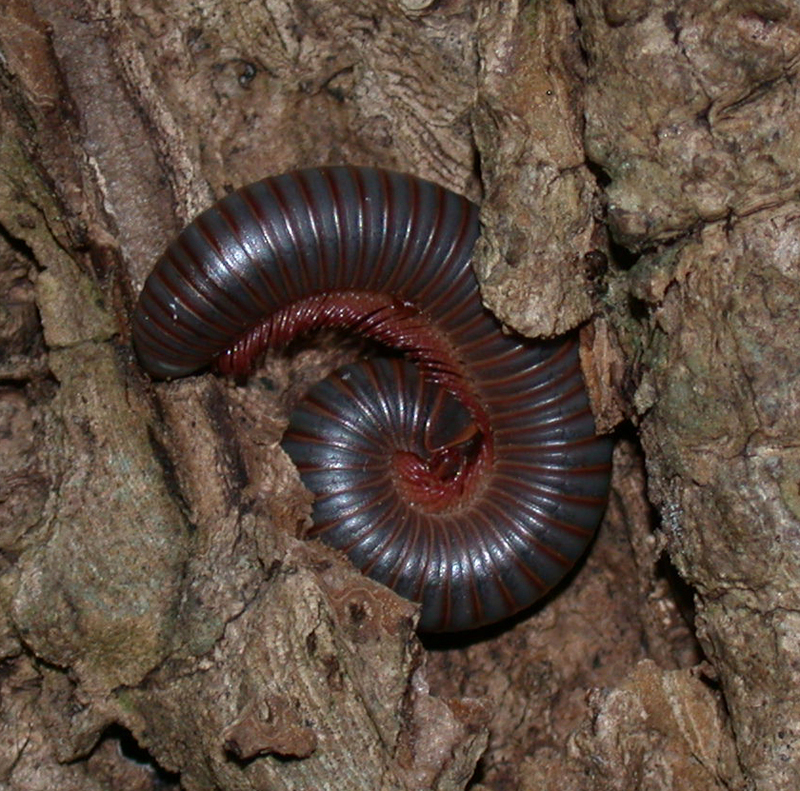 Many millipedes, especially individuals of the species N. americanus, are voracious detritivores and feed on decaying leaves, wood, bark and other decomposing vegetation. 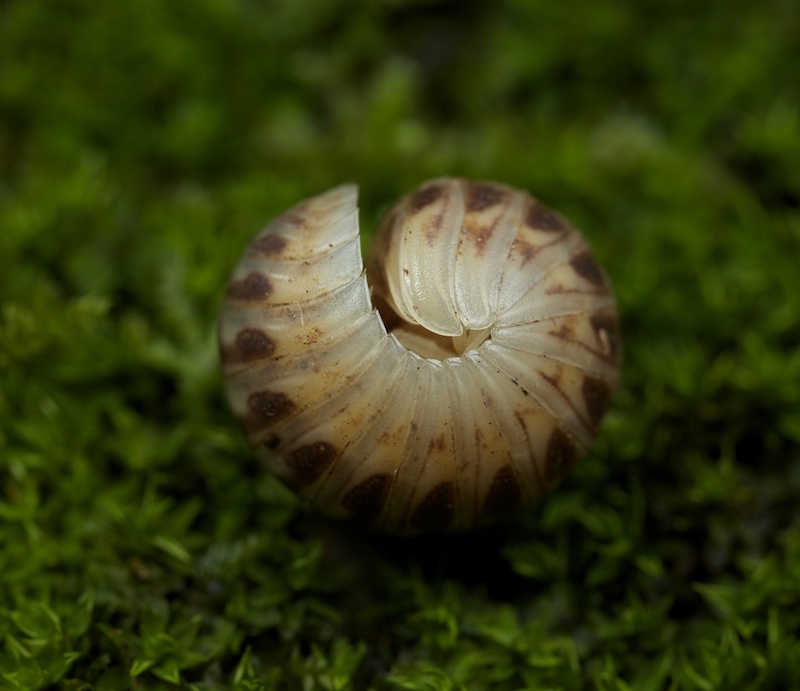 Millipedes provide a really important ecosystem service by fragmenting decaying vegetation thus increasing surface area for colonization by microorganisms (e.g., bacteria and fungus). These microbes complete the process of decomposition and free up nutrients for future generations of life to use. Based on careful natural history observations, Frederick Coville, former chief botanist of the USDA who studied a population of Narceus americanus from Plummers Island, described the astounding composting abilities of these diminutive animals. He and Herbert Barber, a beetle expert at the Smithsonian, discovered 1000 individual N. americanus while searching a 1000 sq-ft surface of the island at night. On another occasion, they found 320 individuals in a 80 sq-ft area by carefully sifting through the fallen leaves and detritus of the forest. 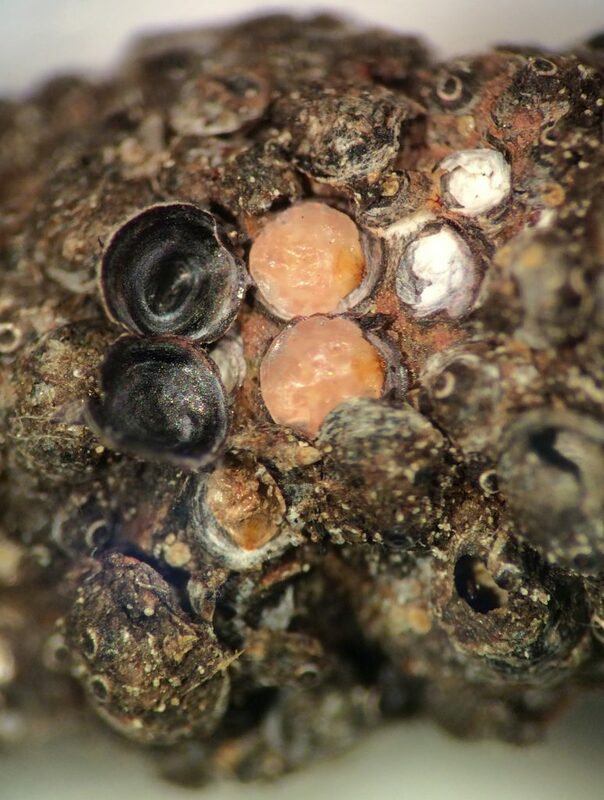 Coville found that each N. americanus produces about a half cubic centimeter of excrement a day. That’s about an M&M’s worth of feces, which equates to nutrient rich compost for the forest. 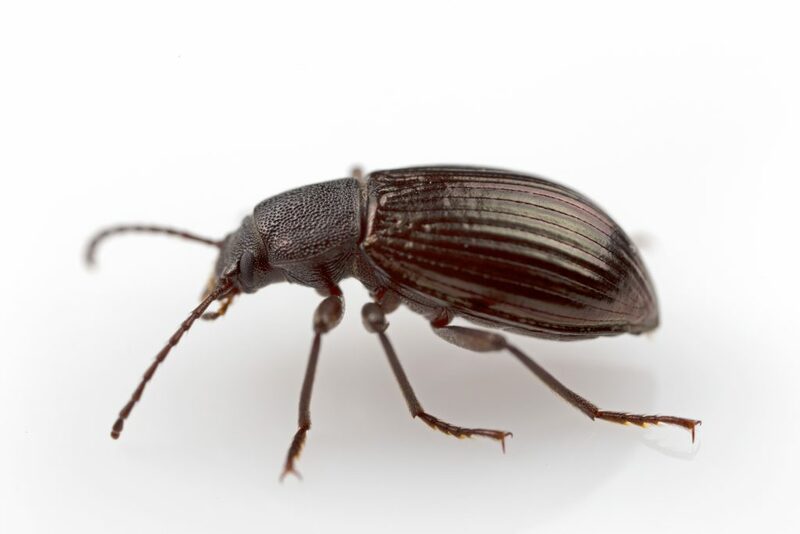 By measuring the amount of excrement that N. americanus produced each day, easily counted because they’re excreted as firm oval pellets, Coville estimated that they contribute more than 2 tons of compost (about 2 small automobiles worth!) to an acre of the forest each year. Quite a spectacular contribution, considering it’s coming from just one species in the forest. 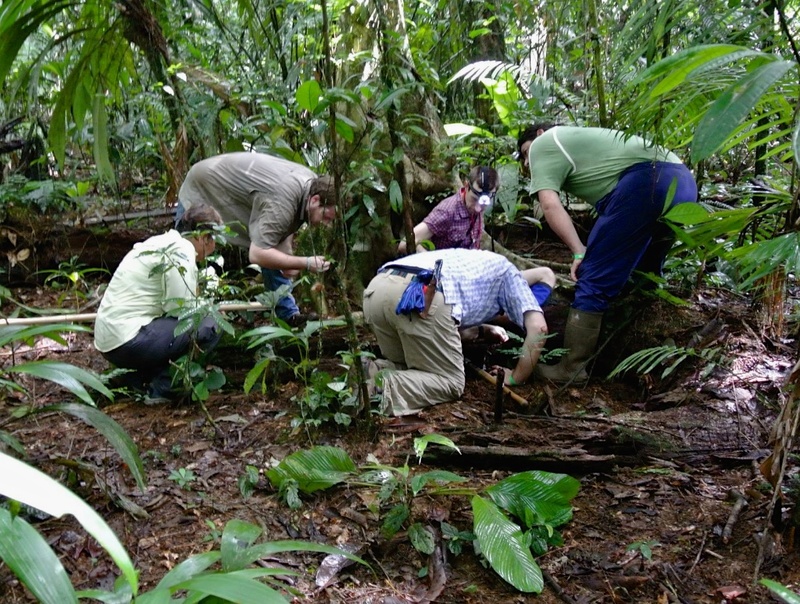 In search of millipedes, we’re dismantling this fantastically rotten log in La Selva, Costa Rica [left to right: Petra Sierwald, curator at the Field Museum; Jackson Means, grad student in the lab; Jason Bond, professor at Auburn University; Paul Marek, PI in the lab; Carlos Viquez, curator at the National Biodiversity Institute, INBio, Costa Rica] Photo by Bill Shear, professor at Hamden-Sydney College. The decaying log held scores of millipedes, including sphaeriodesmids, siphonophorids, pyrgodesmids, spirostreptids, chelodesmids, polyxenids, and glomeridesmids. INBio is a national institute (funded privately) dedicated to making an inventory of Costa Rica’s natural heritage, promoting conservation and education, and identifying biological and chemical properties of plants and animals potentially useful for pharmaceuticals, industry, biomimicry, and other applications. Last week, Jackson Means and I were in Costa Rica collecting material for an NSF project. Overall the trip was successful and we collected lots of fresh material for RNA extraction and whole-body transcriptome sequencing. 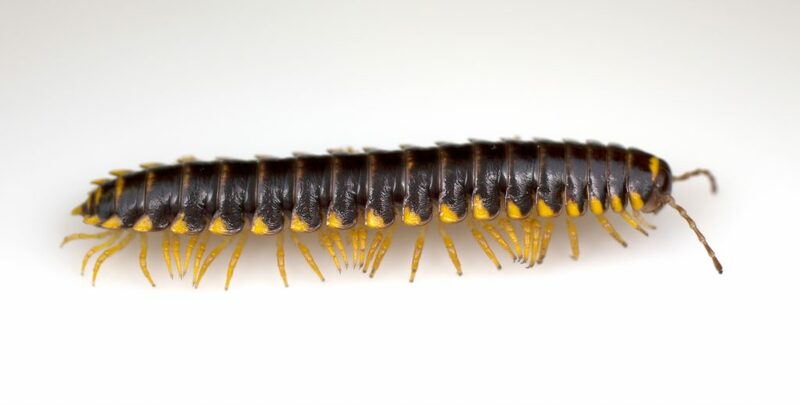 These data will be used to infer a phylogeny of millipedes, a group with ancient evolutionary relationships extending back at least 500 millions years ago! 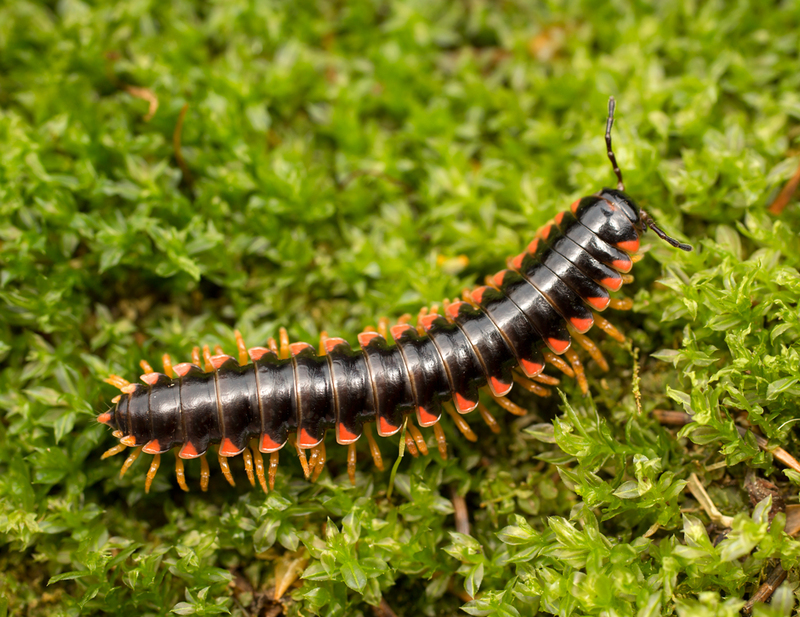 The millipede pictured above is a member of the order Polydesmida (family Sphaeriodesmidae) that defends itself from predators by rolling up into a ball. 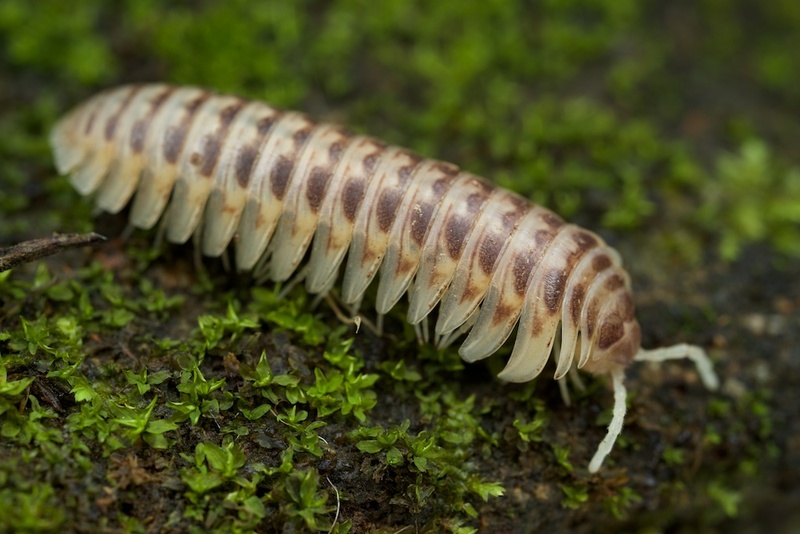 This ability to roll into a protective ball, known as “volvation”, has evolved 4-5 times independently across the evolutionary tree of millipedes. When disturbed, Sphaeriodesmus tucks and rolls into a ball. With kind permission from the Virginia Museum of Natural History (Martinsville, Virginia) and special thanks to Tim McCoy for digitizing, we are proud to announce that the journal Myriapodologica is now available online and open access. 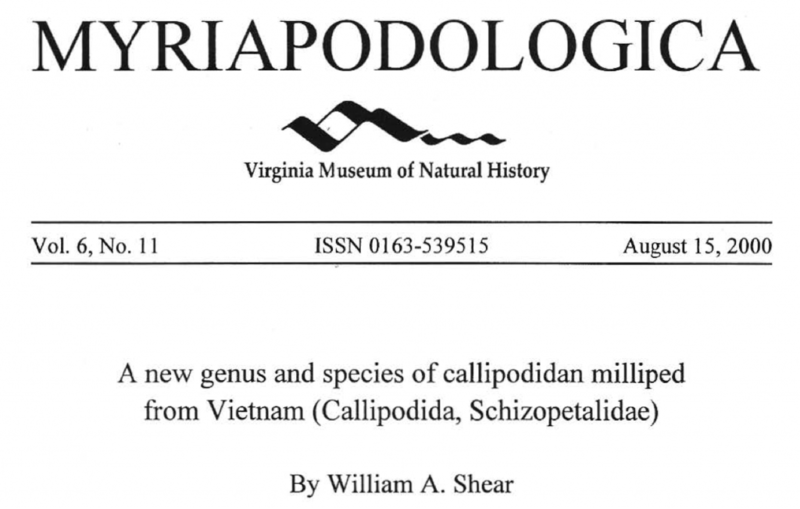 Published from 1978 – 2008 by editor Richard Hoffman from the VMNH, Myriapodologica was a scientific journal devoted to the study of myriapods. We’re working on scanning and OCR-ing the remaining issues, so stay tuned to download such classics as “Zoological results of the British Speleological Expedition to Papua New Guinea, 1975. A note on the characters and status of the genus Caloma Chamberlin, 1945 (Polydesmida: Paradoxosomatidae)” and “Ectopotremia: A new genus of prepodesmine millipeds from Mali (Polydesmida: Chelodesmidae)”! The fly Poecilographa decora (Loew, 1864), a species of the molluscivorous dipteran family Sciomyzidae. One of two specimens in the Virginia Tech Insect Collection (collected by T. Bailey from Montgomery Co., Virginia, 1975). Most species of the fly family Sciomyzidae, including P. decora, feed exclusively on non-operculate snails, slugs and clams. However, very little is known about the natural history of these enigmatic flies. 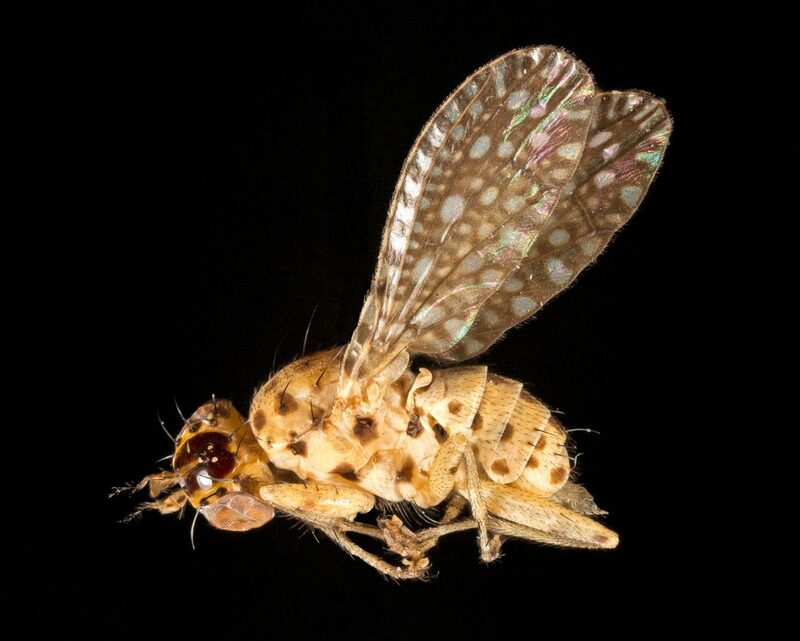 For more details about this species and others, join Joe Keiper, an entomologist and fly expert at the VMNH, and other entomologists including scientists from Virginia Tech tomorrow at BugDaze at the Virginia Museum of Natural History (Martinsville, VA). Keeton, W. T. (1959). A revision of the milliped genus Brachoria (Polydesmida: Xystodesmidae). Proceedings of the United States National Museum, 109: 1-58. Eric Day, Insect ID Lab Manager @ Virginia Tech, kindly shared these wonderful gloomy scales with us one day during Insect Biology Lab. This picture shows two female scales (top-center) with their protective covers removed. 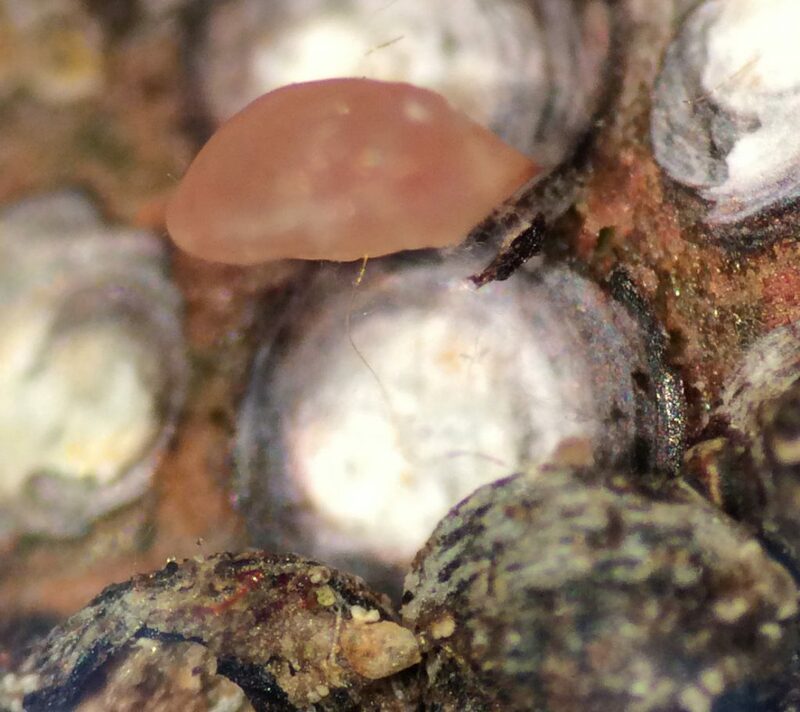 The scale insects are the pink round things, and you can see their hardened pygidial (tail) region on their right. The scales in this stage really don’t have legs, eyes or antennae. In this image, the female scale is on its side (tail on the right), and you can see its very long thread-like mouthparts that are used like a straw to drink the juices of the tree.